Earlier in the week we posted an uncut interview with Mikale Colville-Anderson on the ideas of Copenhagenize. This video contains excerpts from the interview as a new series by the people at WeLoveCycling who are showcasing bike friendly cities around the world. Then content for Copenhagen is up now and more cities are soon to follow. “…It was a pleasure to talk with famous urban mobility expert Mikael Colville-Andersen. Or with Morten Kabell, head of Copenhagen’s Technical and Environmental Administration. And we’re sure you will love the wizards from bike repair shops or the beautiful lady who ferries sperm samples to fertility clinics around Copenhagen on a sperm-shaped cargo-bike. For a number of days we researched whether Copenhagen really is paradise on Earth for cyclists. You can find the answer in our report. Don’t you hate it when motorized vehicles use the bike lane? I mean, hate hate hate it?! Don’t you wanna ride up next to them and kick em over. Don’t you get so enraged you wanna..wait….oh, never mind. 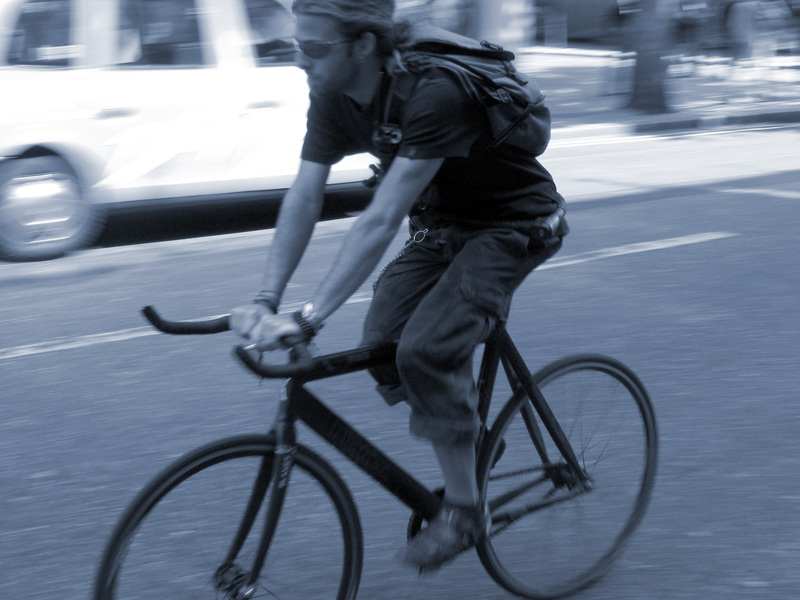 Check out Urban Velo for more on riding in the city, gear and bikes reviews, and good advice. Not sure I agree with Copenhagen being a cycling paradise, and frankly I don’t care if motorized vehicles use a bike lane — I’ll just go around them. I use the entire roadway when I ride and I don’t want to be relegated to a stupid bike lane. Courtesy of Prufrock, here’s an interesting essay from the Boston Review in which Paul Bloom takes a position against empathy. This reaction surprised me at first, but I’ve come to realize that taking a position against empathy is like announcing that you hate kittens—a statement so outlandish it can only be a joke. And so I’ve learned to clarify, to explain that I am not against morality, compassion, kindness, love, being a good neighbor, doing the right thing, and making the world a better place. My claim is actually the opposite: if you want to be good and do good, empathy is a poor guide. The Atlantic reports on a new trend sweeping fitness centres around upscale neighborhoods. In The Stationary Bike of the Soul, Emma Green writes about her experiences in SoulCycle, a company that offers specialized exercise classes with a hint of new age/one-percenter spirituality. I think it’s kinda lame – just ride a bike for Pete’s sake. And here’s a story about a guy who lived in the Maine woods as a hermit for 27 years. Hmmm, one phone call, no email, no Internet. Tough decision. The late summer of 1914 was not the ideal moment in history to get the world worked up over the death of a pigeon in Cincinnati Zoo. However, the news about Martha did get space in some of the American newspapers. One of them, The Evening World in New York, even made a comparison with the conflagration that had just begun across the Atlantic, saying Martha’s death should be noted even when “the last European soldier known to war lords is in danger of dying in his turn”. 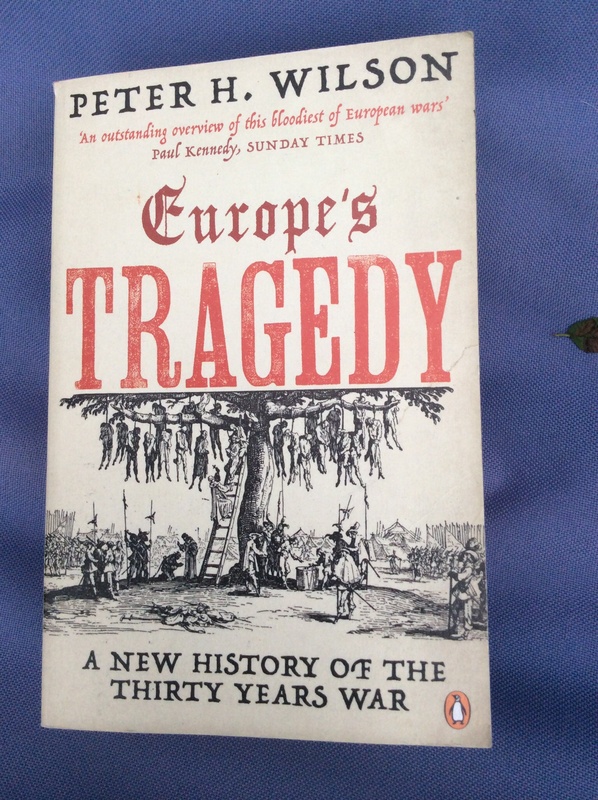 Indeed, looking back a century later, one might argue – taking a very, very long view – that Martha’s death was more consequential than the first world war. For that did not turn out to be the war to end all wars. But Martha was undoubtedly the passenger pigeon to end all passenger pigeons. 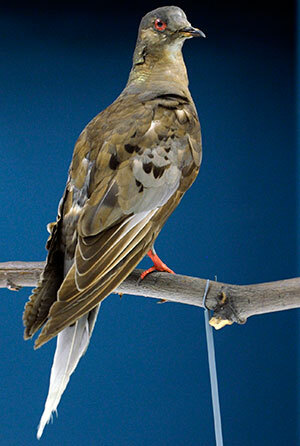 Her cagemate George had died five years earlier; the marriage was chickless; all the other captive passenger pigeons had died; none had been seen in the wild for a long time. Ectopistes migratorius was now extinct. Check out these articles to help round out your weekend. Why do we Read? Weekly Standard – for wisdom and insight, duh! Here’s the book I just started reading. It has been on my shelf for some time. I decided to pick it up again after reading the latest from Spengler. It should take the rest of the summer. Answers To Questions No One Is Asking: Does My Beard Slow Me Down? From City Journal, Rupert Darwall on the science of climate change. From The American Conservative, Brian Brown on conservatives and philanthropy. And from PJ Media, David P. Goldman (aka Spengler) on race relations in America in light of the incident in Ferguson. And here is a random bike pic just for fun. Check out this trailer and review for a new documentary about cycling. 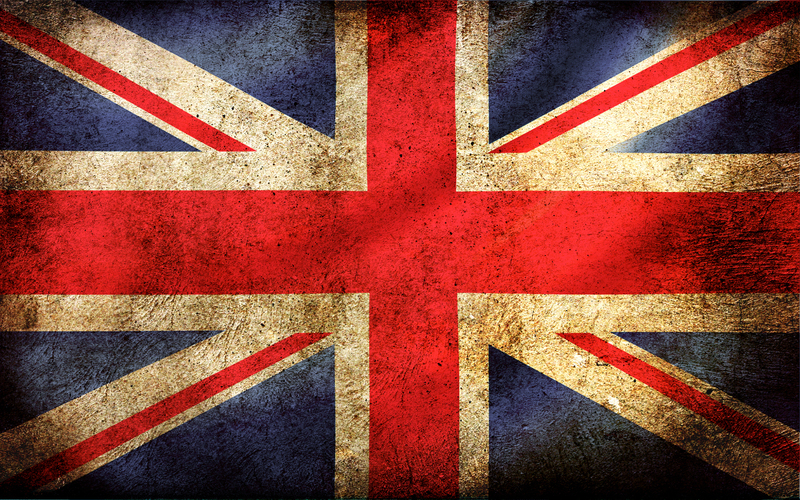 It’s probably a bit Anglo-centric but still worth a look.